I have a clean driving record, seven years of experience, yet can’t find a decent company to hire me as a driver. Everyone talks about CDL driver shortage; there are hundreds of recruiting ads for the truck drivers but any applications I fill out always get rejected. Is there anything I do not know?? My answer is yes! It could be many things causing that but let’s just go through the list and look into the processing of the application of the commercial driver and hopefully we can find an answer to your dilemma. Before I start listing things at which the trucking company is going to look at before hiring you, its necessary to understand the main reasons behind why companies do this. First and most important is that the Uncle Sam wants to play a nice guy to the public. In most cases he will not touch your CDL for safety related reasons except for moving violations but will not hesitate to shut down the company who chose to hire a driver with extensive DOT violations. Second reason is the damage control and even though 95% of drivers are responsible, reliable, and safe drivers, the other 5% are responsible for 95% of losses, damages, violations, issues, and headaches. A mistake of hiring a bad driver can cost thousands of dollars, lost insurance policies, lost customers, equipment, and reputation which will contribute to the losses that have no direct connection to the driver in question but can cost hundreds of thousands in annual revenues and other drivers incomes. 1. Previous employment verification. This step is DOT regulated, and if you have failed some drug test, abandoned a load or equipment, had any unreported accidents or major incidents, or just have poor work ethics expect this to show. 2. PSP report. Not DOT regulated, but all decent companies will check this. PSP will show all your roadside inspections for the last three years with all the details and violations. It will also show clean inspections. This report will make it nearly impossible to hide any companies you may not want to show on your employment history. And also some of the inspections that you considered good, may be causing you your next job. For more details click here: PSP report. 3. Insurance. Insurance companies are very advanced these days as far as gathering data about every single one of us. Some cargo, liability or physical damage claims may not show up on your official record but can still cause you to be declined as a driver. 4. Driving record. 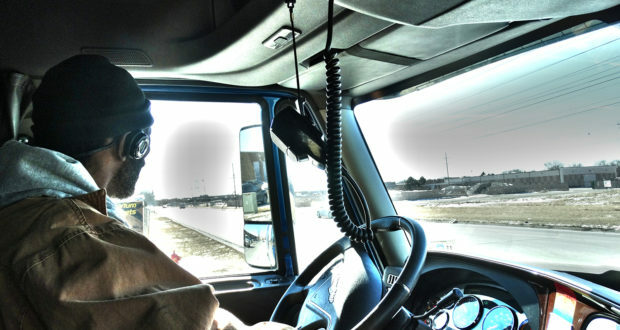 DOT regulated, however as long as your CDL is valid, it is absolutely up to insurance requirements and company’s policies if they will accept or decline you as a driver. 5. Job hopping. Industry estimated that it cost $2500 to hire a driver. If the driver keeps jumping from company to company every month or two, it may be too big of an investment to hire a driver like this. 6. Discrepancies. Everyone makes mistakes, but lying on the application will only raise red flags, and in some cases will cause automatic disqualification. 7. Attitude. Nobody likes mean and ignorant, narcissistic people who are impatient and have a bad temper. Most of the time admitting the reality and starting the conversation will get you further than lies and coverups. Hopefully, this post has helped to locate the issue that’s holding you back from achieving your full potential or joining the company that meets your needs and standards. Approciatien for this information is over 9000-thank you! I’ve had nothing but bad experiences with trucking companies since I left a major company with the promise of more money. Then I see you, I apply. I pay for my ua, I go get my truck 1500. Miles away, I get back to tampa, I call you and you tell me no, sorry, we changed our mind! This based on previous employment which I had already told you was not good since leaving warren transport. You say you care about the drivers,../o/o but you have the very same attitude as the rest. You strung me along for 3 weeks, I spent over a grand to put myself into the position of readiness to start working with you and then at the last minute you tell me no thanks! Not my driving record, not my insurability, not my experience…just my experience with 3 small mom and pop companies that were bad choices! Your ads say you understand this…your ads infer that you know that some of these companies are bad and don’t care one bit about the o/o. I ask……are you one of those companies too? Now once again here I sit signed on to another bs company! Been there 3 weeks and still haven’t got paid! Another bad choice! How to choose a company to lease onto?